The company hands out some awards. 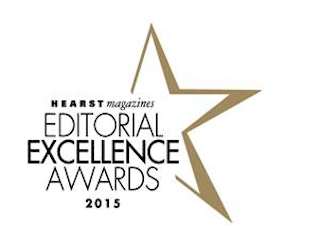 Hearst Magazines has celebrated its own with the first annual Editorial Excellence Awards. Hearst editors, exec editors, site directors and creative directors selected the print and digital finalists. Entries for the awards were then judged by a large panel of judges, including Hearst Magazines president David Carey; editorial director Ellen Levine; VP of talent acquisition Eliot Kaplan; and VP, editorial director of Hearst Magazines Digital Media Kate Lewis. Rounding out the panel was Refinery 29 editor and founding partner Christene Barberich; Metropolitan Home and Saveur founding editor Dorothy Kalins; and Galvanized Media founder and CEO David Zinczenko. Below are the winners. Congrats to all.